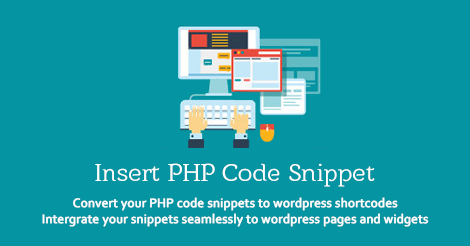 We have released a new WordPress plugin – Insert PHP Code Snippet. The Insert PHP Code Snippet plugin allows you to add PHP code such as ad code, login validation etc. and use the same in your posts and pages. Insert PHP Code Snippet allows you to create shortcodes corresponding to PHP code snippets. You can create a shortcode corresponding to any random PHP code and use the same in your posts, pages or widgets.